Was there really a “Joe” Pilates? What is the difference between equipment Pilates and mat Pilates? What is a typical Pilates class or private session like? How does a Class differ from a Private or Semi-private Session? How much experience do I need before taking Reformer classes? What if I have chronic pain or a “bad” back? What is the difference between Pilates and personal training? Pilates is a full body strength training exercise that focuses on developing strong core muscles. The core muscles are the muscles that support your spine and wrap around your torso and hips. With a strong core, you will have a strong and flexible torso and spine. For many people Pilates will improve posture and make their backs feel better and stronger as well as improve overall strength, flexibility and balance. Our trainers use specific equipment (Reformer, Cadillac, Wunda chair and Ladder Barrel) or mat exercises to strengthen your core, improve balance, increase coordination and decrease stress. Pilates is safe, low impact and appropriate for anyone from age 10 to 100. With your doctor’s permission Pilates can be safely practiced with orthopedic conditions as well as during pregnancy. Sessions are conducted in either private (one-on-one), semi-private (2-4 clients) or group Reformer classes (2-7 clients). Yes. A German immigrant, he and his wife Clara started their first exercise studio in New York in the early 1900’s. He called his original exercise regime “Contrology.” It was a series of mat exercises performed on the floor. He called it “Contrology” because it helped people to control their muscles and core. Joseph Pilates developed his method by studying and practicing yoga, Zen philosophy, and ancient Greek and Roman physical regimens. The equipment used today in Pilates studios around the world is built from the original designs he developed years ago. A man ahead of his time, he would be pleased to know that today Pilates is practiced around the world. Pilates is thought by many to be the most efficient method available for improving muscle tone and flexibility thereby transforming one’s body. After 10 sessions you’ll notice a difference . . .
after 20 sessions others will notice . . .
after 30 sessions, you’ll have a whole new body! However, every client is different and your progress will depend on several factors such as your current fitness level, any existing injuries, other activities you participate in as well as diet. Typically, you will improve your body awareness, learn to activate muscles that have been inactive and improve your postural awareness in your first few sessions. By 10 to 15 sessions most clients feel significant positive changes in their bodies. Pilates can be performed either on specific pieces of equipment or on the floor (referred to as mat Pilates). The equipment utilizes springs to change the workload. The three most popular pieces of equipment are the Reformer, Cadillac/trapeze table and Wunda chair. Each piece has a multitude of exercises specific to the apparatus. Mat Pilates is a series of exercises that are performed on the floor/mat without the assistance of equipment. The benefit of using equipment to do Pilates is that the equipment can “assist” you through an exercise (making it easier to perform). The equipment will help you to move through a greater range of motion than you could unassisted. As you become stronger the spring tension is manipulated to make the exercises more challenging. Functional Training is a series of exercises that prepares you for daily activities or a specific sport. It uses several muscle groups all at the same time to train your muscles to work together rather than isolating one muscle at a time. Many of the exercises in functional training will use your own body weight and you will spend most of the time standing. The class or private session will typically start with a spine warm up as well as other warm up activities, followed by leg, abdominal, back, arm and chest exercises. All exercises incorporate core strengthening in some fashion. During a Pilates workout, your core muscles are always working. 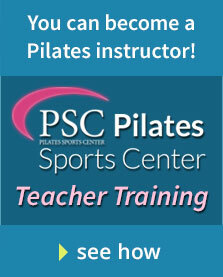 You will work on a variety of Pilates equipment throughout each class/session. A class has one to two trainers working with two to six clients during class. Classes are scheduled at a fixed time and day of the week. Clients can schedule to attend classes via our online scheduling system. A Private session has one trainer working with one client. A semi-private session has one trainer working with two to four clients during the session. Private and semi-private sessions can be scheduled any time of the day or week, according to your preferences. Because the Pilates reformer workout is new to most people, we require that clients without previous Reformer experience take a minimum of 3 to 5 private sessions with one of our trainers, prior to taking Reformer classes. The private sessions will teach you the fundamentals that are essential for a strong Pilates workout, as well as the operations of the equipment utilized during class. Almost anyone can do Pilates. Our clients include people with a variety of orthopedic and medical issues as well as professional athletes. Our clients range in age from 13 to 90 years old. Pilates may also be beneficial for a number of medical conditions including: Scoliosis, Fibromylgia, Parkinson’s, MS, pelvic floor atrophy, and back pain. With your doctor’s consent you should be able to do Pilates. Since Pilates is gentle, low impact, and works with controlled and fluid movements, most clients tolerate the workout very well. Many clients have seen see significant improvements in their pain levels. Our instructors will design your program around your particular limitations. At Propel Pilates and Fitness we make a distinction between our Personal Training Program and our Pilates program. Our Personal Trainers use functional training methods for training clients – similar to those you would see at a gym or on “The Biggest Loser”; whereas our Pilates Program uses Pilates equipment and Pilates exercises to achieve fitness. Many clients chose to do a mixture of Pilates and Personal Training to achieve optimal results.